The water in Pensacola Bay and surrounding bodies is still stained, but the speckled trout fishing has been excellent lately. It sounds like quite a few nice fish are being caught around structure with live bait, while good numbers of smaller fish can be picked up on the flats with artificial lures. Spanish are still an easy catch if you’re looking for a good fight on light tackle. They move day to day, but look for them in both Pensacola Bay and out along the beaches or around the buoys and USS Massachusetts. Red snapper is open on Fridays, Saturdays, and Sundays through Labor Day for recreational anglers and the bite has been solid, especially if you get out into federal waters and hit some spots that haven’t had much pressure. 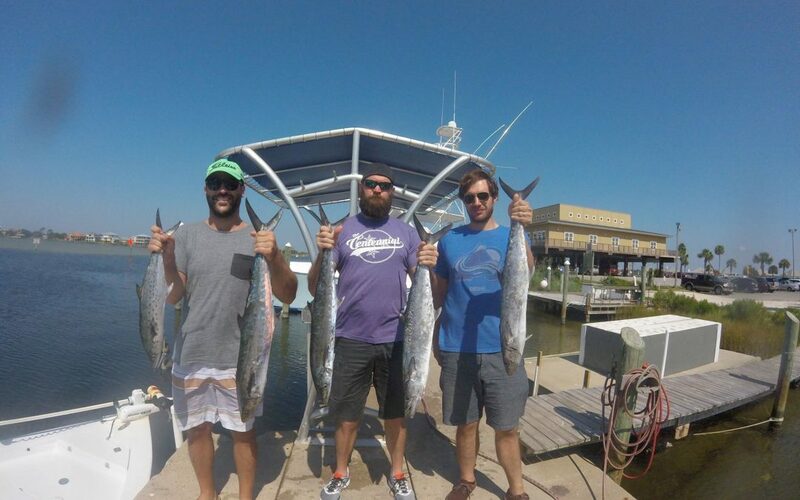 King mackerel fishing has been good on a lot of the nearshore public wrecks and natural bottom areas. As usual you can slow troll with live bait or use frozen cigar minnows in conjunction with a weighted duster. Tarpon, king mackerel, and Spanish mackerel have been the big catches this week on the Pensacola Beach Gulf Fishing Pier and Navarre Beach Fishing Pier. There’s been plenty of live bait around the piers so just be sure you have some sabikis in your tackle box. It sounds like the fishing on the inshore piers, which includes Fort Pickens Pier, Bob Sikes Bridge, and the Pensacola Bay Fishing Bridge has been a little better this week than the past couple. If you’re trying to decide where to go Fort Pickens Pier is probably the best option, just be prepared to fish for Spanish mackerel and mangrove snapper. Reports from the local rivers haven’t been all that great over the past couple weeks with the high and dirty water. If you’re looking for something to do your best bet is probably to go after catfish in the evening or grab some crickets and worms and give the bream a try.